As you may guess from the name of this blog, I like to travel. I love to go exploring new places that I have never been before whether that is in England or abroad. If I achieve nothing else in life I want to have travelled as far as possible to as many places as possible to see life outside of my everyday environment. Just a couple of months ago I went to Budapest and in October I will be visiting Barcelona for the first time which I am so excited about, I like to fill my spare time with lots of new countries, cities, cultures and foods. Although I usually have hold or checked luggage when I fly, I am excited to have finally found the perfect cabin sized bag. I always struggle with hand luggage, if it’s a short flight and I don’t want to take much stuff with me then I still have the issue of trying to fit my laptop into a handbag. If it’s a long weekend and I only have hand luggage, how do I pack a bag which isn’t taking up half of my weight allowance to start with? Enter Cabin Zero* the company who designs bags specifically to be suitable for the cabin. The bags are specifically measured to ensure they meet almost all airline size restrictions so there’s no worry that they will be deemed too big. They offer a range of bags in various colours which are perfect for short haul flights or long term travelling/ backpacking. I say bag not suitcase as the bags do not have wheels, which saves on weight and they are soft, meaning they can be stuffed full of everything you need for your trip whether you are popping to Paris for a few days or backpacking through Asia for a few months. 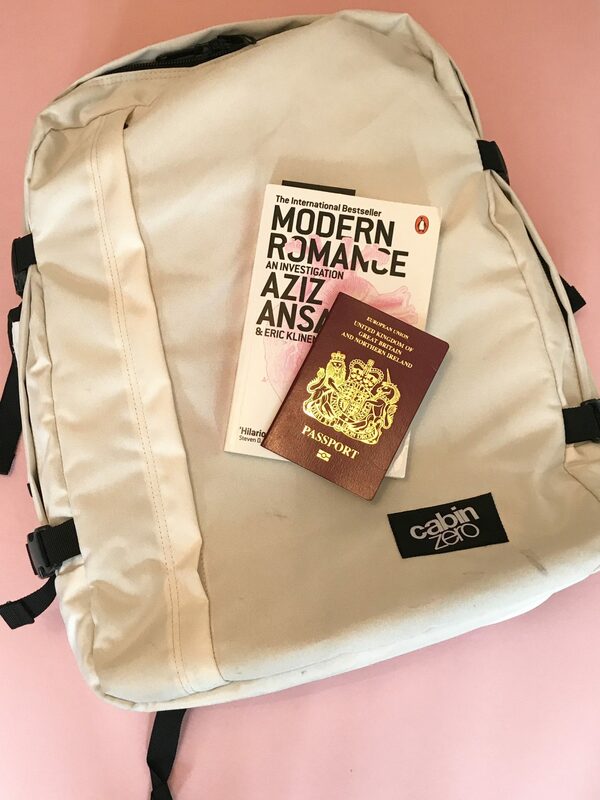 I recently took my 44L Ultra Light Cabin Bag in White to Manchester when I went away for Amy’s 21st celebrations and I’m so glad I did as I fit all my clothes and toiletries in comfortably, but it wasn’t uncomfortable to carry round with me all day after checking out of our hotel room. 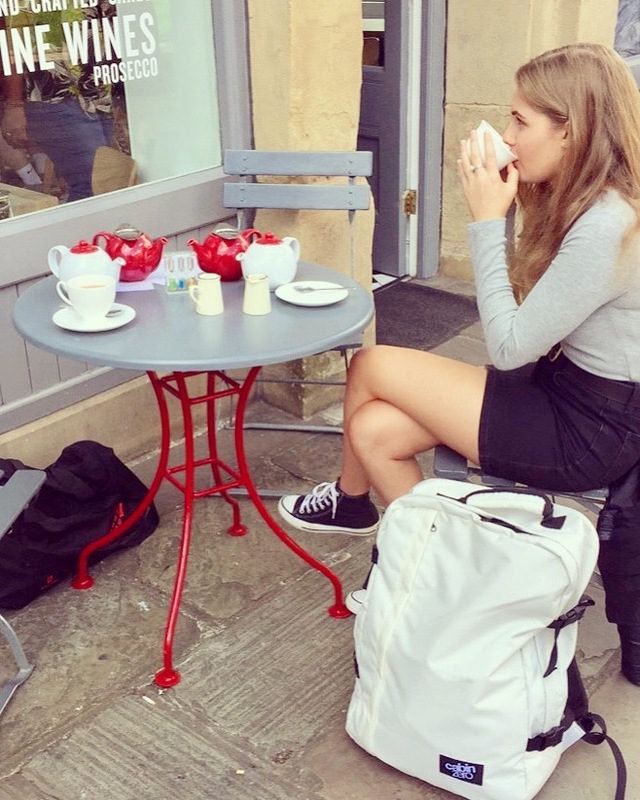 The rucksack straps make it super portable and better for your back that lugging round a suitcase, it also proved easier when manoeuvring through all the crowds during the Bank Holiday rush than a suitcase would have been. I mean potentially I made a error in judgement in choosing white for trips away in rainy Britain but elsewhere, where the weather actually behaves itself for more than 2 weeks a year you would probably be okay. As I’m an organisation junkie and I love everything to be neat and tidy and that doesn’t change when I travel, I love that these bags have sections and pockets so I can segregate all my different items, clothing and toiletries. I’m also already eyeing up the Packing Cubes for when they are restocked as I literally hate having tangled electrical cables in with my clothes. I’m planning to take the bag to Barcelona with me next month and the front slip pocket will be ideal for documents, passports etc to keep them separate from all my other bits and bobs and keep airport stress to a minimum. The other great thing is, should your bag end up being checked in, it comes with a tracker. We’ve all been there, the luggage carousel keeps going round and round and round and your bag isn’t there, usually it makes it way round at the back of the bunch but unfortunately mistakes happen and luggage does go walkabout sometimes. When you get your bag you can register it’s tracking device so in the event that it does go missing or god forbid it gets stolen, you can track it’s location- Amazing! The bag comes with a 10 year guarantee so even the most seasoned traveller can rely on it being a travel staple for years. You can lock the zippers as you would a normal suitcase to keep your luggage secure. 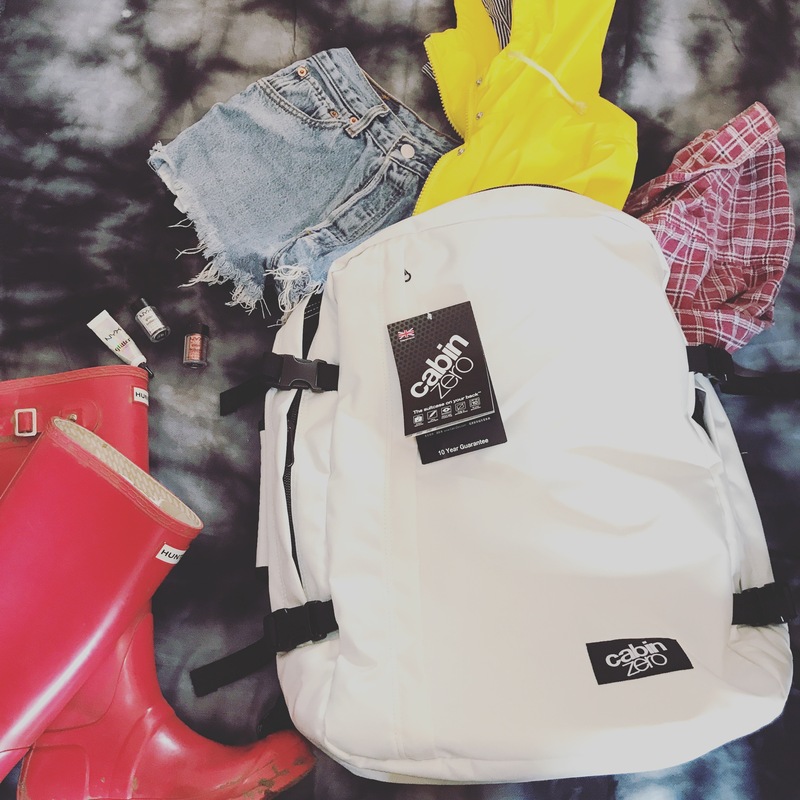 It’s the perfect sized festival bag, see my what to pack post here, although be wary of colour choice! So there you have it, I just thought I’d share my thoughts on this as I’ve really really been impressed by my bag so far so I just thought it would be nice for people to see something to treat themselves to, or as a gift idea for those in your life that love all things travelling, festivals, climbing, weekends away etc etc etc. It seems a bit early but Christmas will sneak up on you so why not start your shopping early this year? Let me know if you have any thoughts or questions in the comments below, I just thought my fellow friends with itchy feet should know about it! 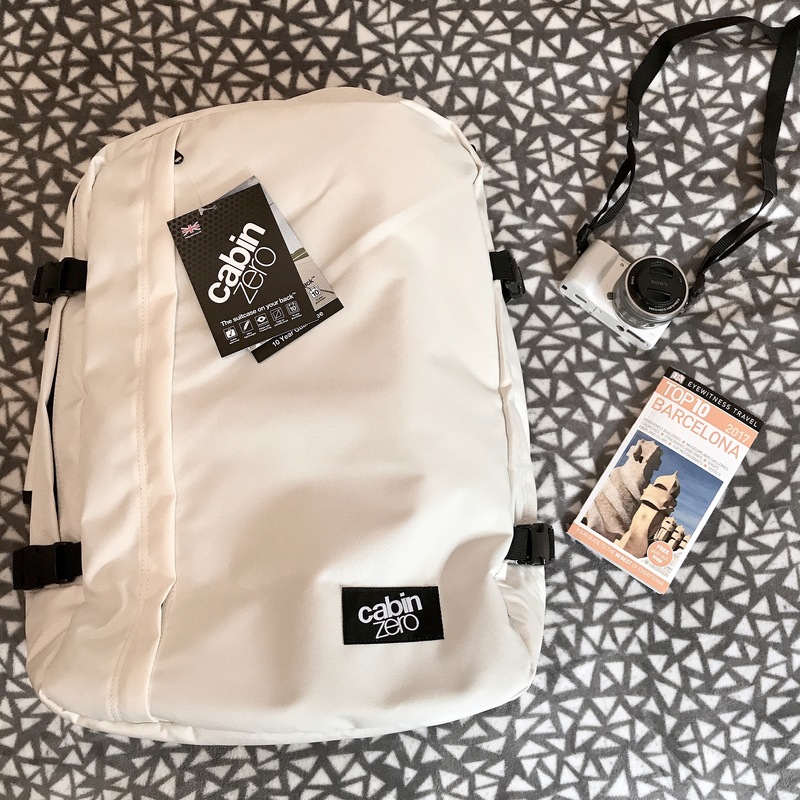 *This bag was kindly sent to me by Cabin Zero for review but all thoughts and opinions are my own and I would not be sharing this with you if I didn’t honestly love this product and enjoy using it. *The above link is an Affiliate link, meaning I may make a small amount of money should you chose to make a purchase, this helps in allowing me to continue posting content. Thanks, I’m just so glad I’ve finally found one that isn’t too heavy for me haha! Thanks it does look nice as well as being functional doesn’t it! It is pretty cool! Thankyou! !